Made for the Detroit Zoo using Bullets and Gold Leaf. By the artist Mary Engel ” Elephants have become endangered due to the “gold” of the elephant, its ivory tusks. 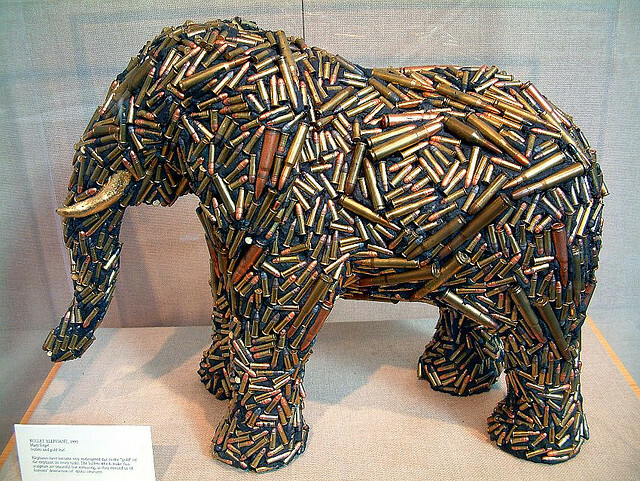 The bullets which make this sculpture are beautiful but menacing, as they remind us of humans’ destruction of exotic creatures".